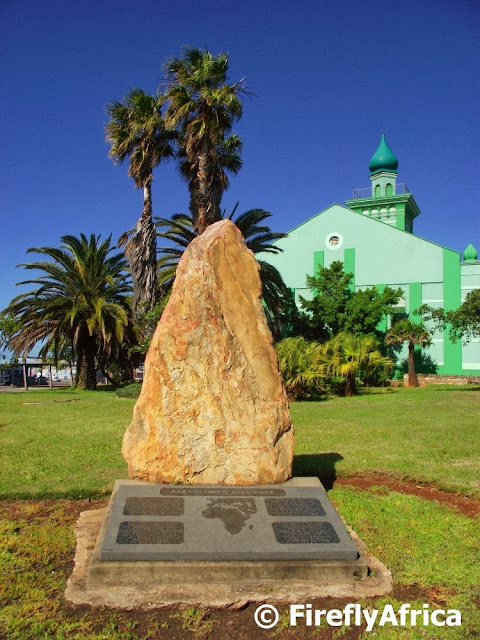 Today's post may not be of an landmark or attraction around Port Elizabeth but rather a bit of a quirky sight I encountered during a Hinterveld Mohair Mill tour I was on the other day. Although it looks like a lighthouse it isn't a lighthouse, not quite. 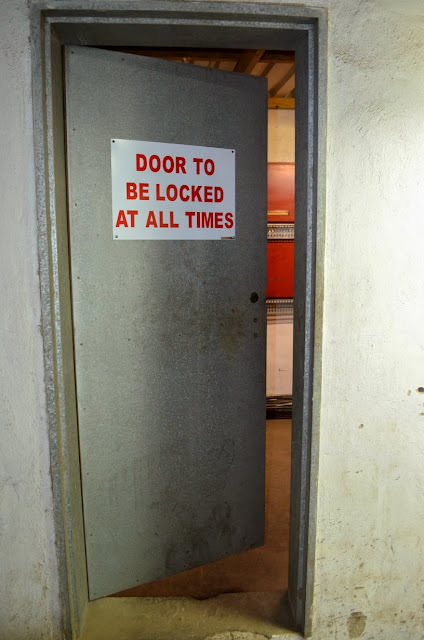 It does have a light though. 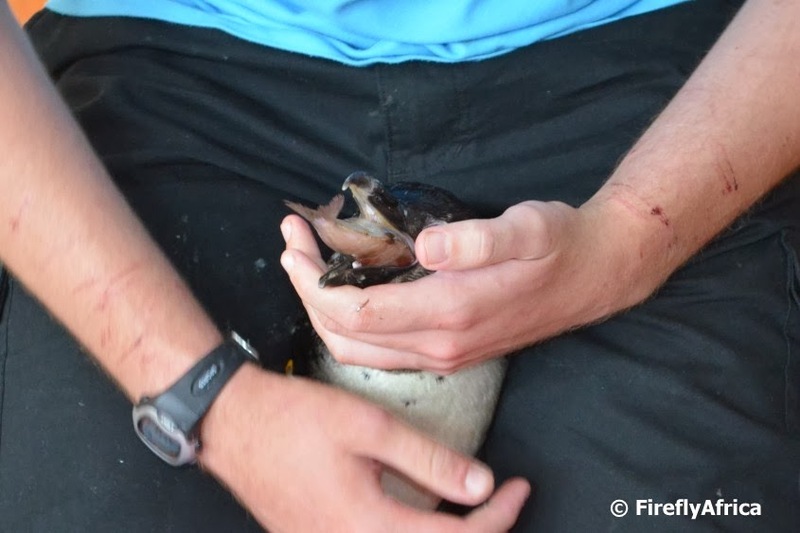 What is it then and where did I see it? 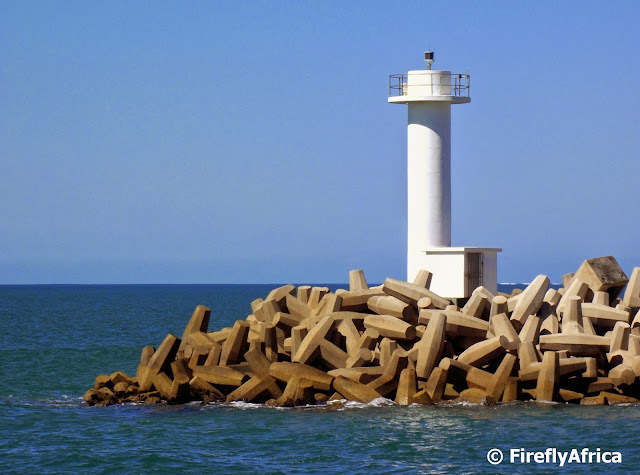 It is a beacon at the end of the breakwater forming part of the Port Elizabeth Harbour wall. 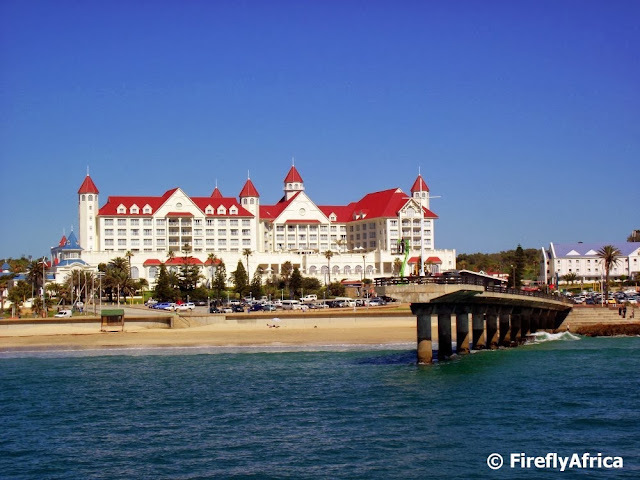 The Boardwalk Hotel and Convention Centre has really changed the beachfront skyline since it opened a year ago. I've heard that some people think it looks out of place while comparing it to a Disney like castle while others absolutely love it. But love it or hate it, the hotel and convention centre has become an integral part of the city's leisure, business and events tourism landscape and a great asset to Port Elizabeth. The photo was taken while on a bay cruise on the Jester. Approaching the Donkin Reserve and Route 67 from the City Centre side, visitors can either walk up the Mosaic Steps or the winding Voting Queue path. 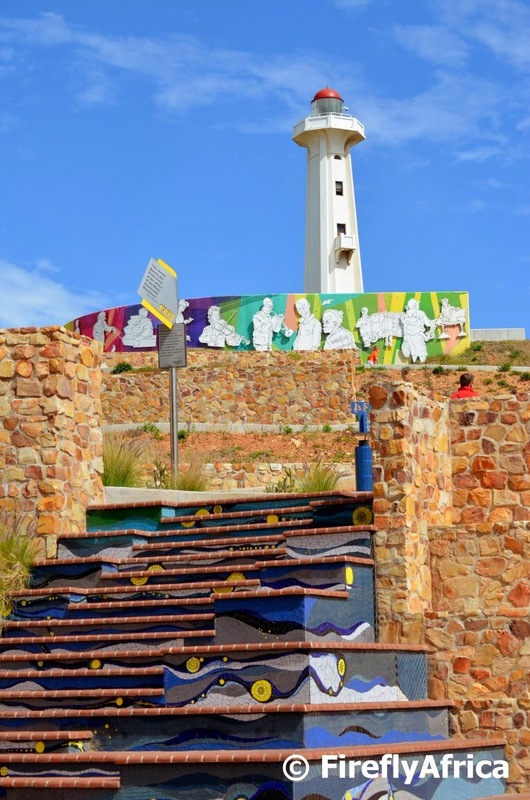 The Mosaic Steps by a group of mosaic artists are quite interesting as it starts with dark colours at the bottom and the higher you climb the lighter and more vibrant the colours get. The steps with the different colours represents a journey that starts in the darkness and turbulence of the past, progressing to a new dawn with new beginnings, hence the explosion of colour. The figures on the wall at the top of the picture is a humorous look at everyday street life. 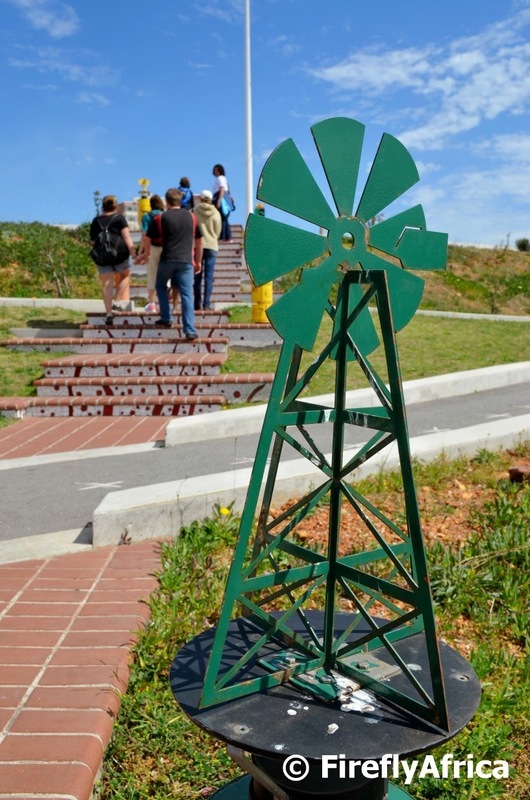 Although most people who go to see the art pieces on Route 67 just go up to the Donkin Reserve, the route actually starts down at the Campanile. One of the first art pieces one can see when down there is the Campanile Frieze by Mkhonto Gwazela. 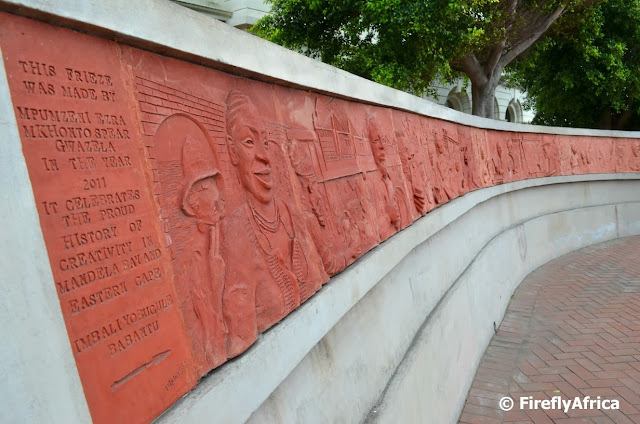 The frieze celebrates the indigenous heritage of Nelson Mandela Bay and the Eastern Cape through visual images cast into a curved concrete beam. 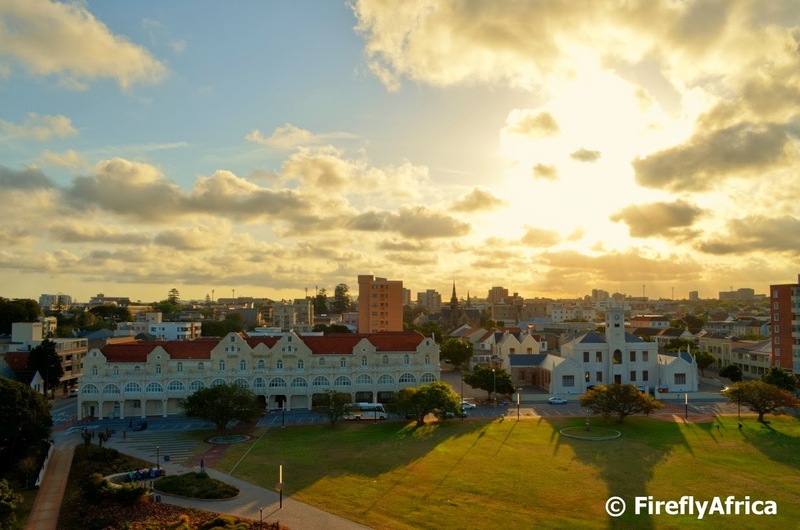 The view from the top of the Donkin Lighthouse is my absolute favorite view in Port Elizabeth. Combine it with a setting sun over Central and you get an even better one. The Pier Street Mosque, or Green Mosque as many know it as, is probably one of the most recognisable places of worship in Port Elizabeth. 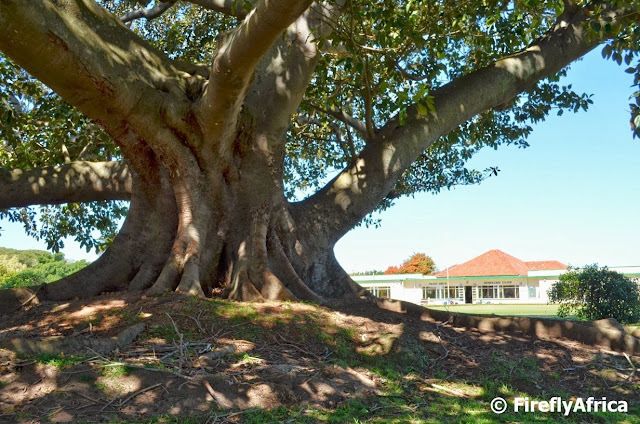 Not many would know though that the open space next to it is called Dias Park, named after the first European to round the Cape and discover Algoa Bay. 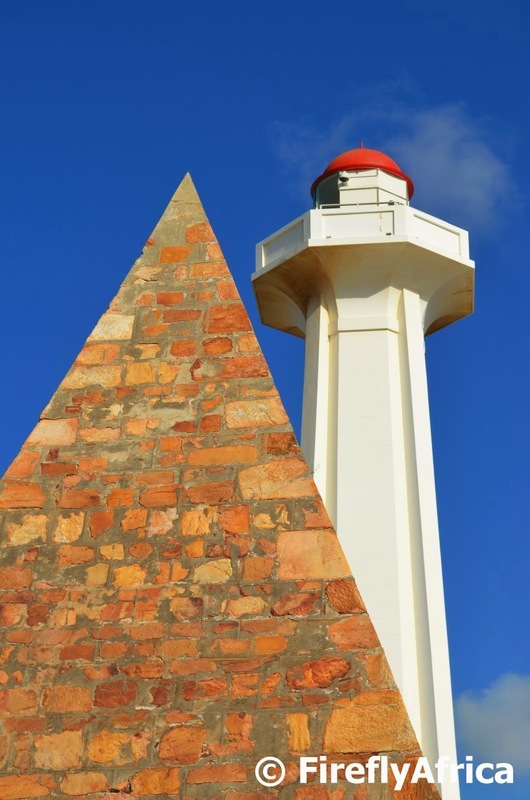 Bartholomeus Dias entered the Bay in 1488 and planted a stone cross on St Croix Island. Today this rock, which has absolutely no link to Dias what so ever other than his name, is situated in the middle of the park with a plaque containing information on his journey.. Although most people do the Sacramento Trail as a straight forward out and back along the coastal route, there are two very different routes possible. The alternative route heads slightly inland from the cannon through fynbos before heading along the top of the vegetated sand dunes towards Sardinia Bay. I think everybody should go on the Hinterveld Mohair Mill tour in Uitenhage at some stage. Believe me, its really worth it. 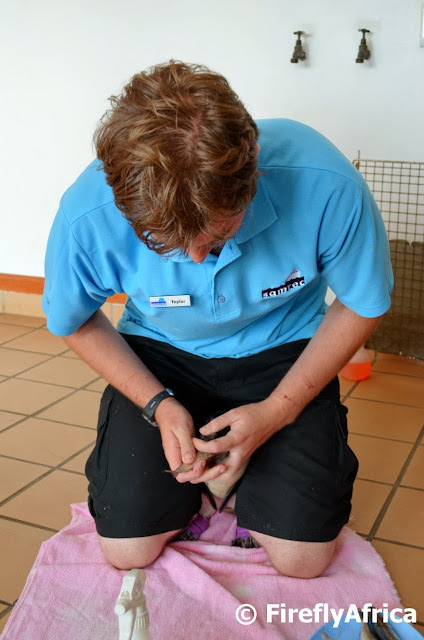 Visitors get to see the whole process that mohair goes through from arriving in its raw form right through to where it goes out as yarn or, even better, beautiful mohair blankets. 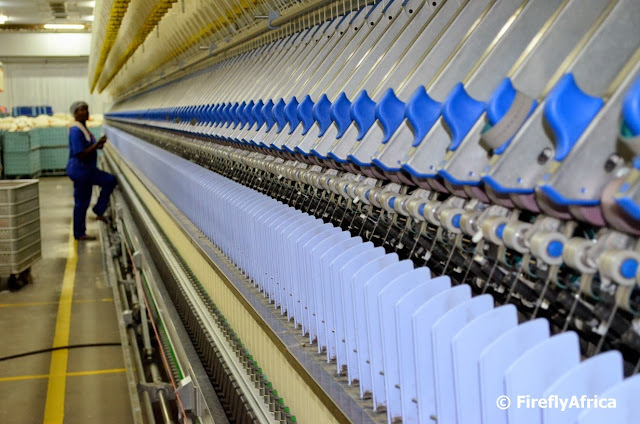 This is one of the machines that spin the yarn from the top, with yarn often being twisted or brushed (raised) for a fluffy appearance during the process. 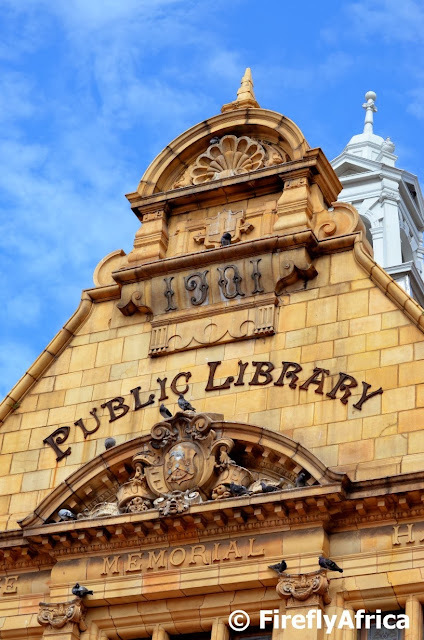 The Public Library across the road from City Hall and Market Square in the city centre is my absolute favourite historic building in Port Elizabeth both inside and out. The library building was opened in 1901 and the interesting part of it was that the front facade was built in England, dismantled and brought down to Port Elizabeth in numbered blocks to be assembled in front of the building. 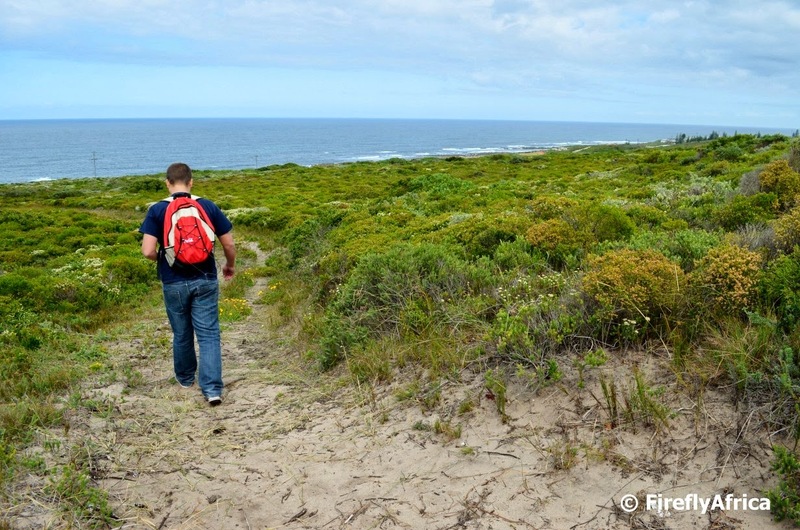 Port Elizabeth has a number of excellent hiking trails to get one out the city while only a couple of kilometers away from it. 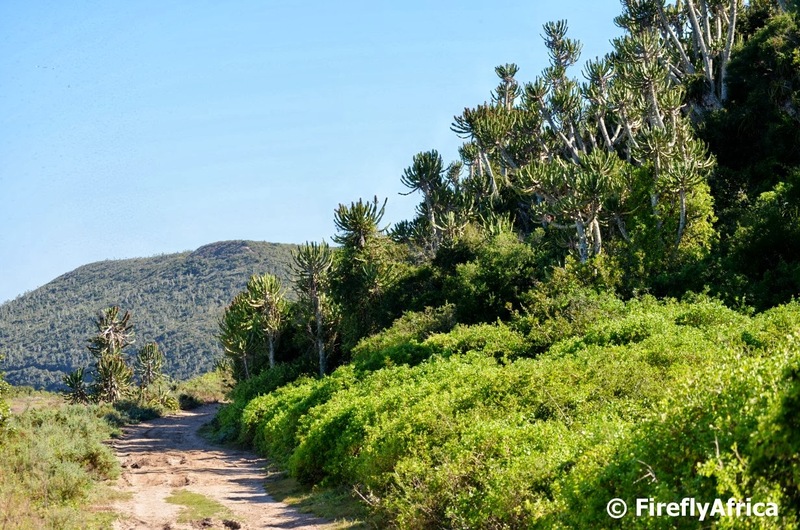 I've been exploring the Fynbos Trail at Schoenmakerskop a bit more lately and got to walk most of it the other day. 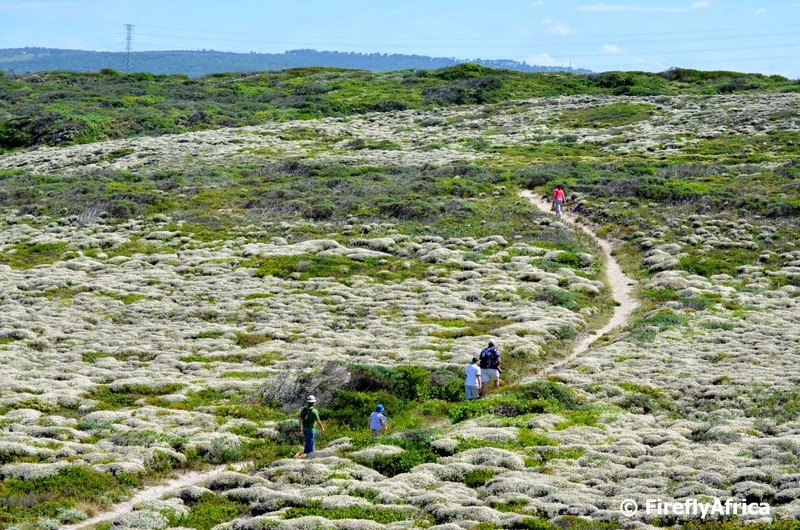 Not a trail I'd like to do on a hot day as there isn't any shade along the way, but there are beautiful coastal views and lots of Fynbos and coastal flora to be seen. 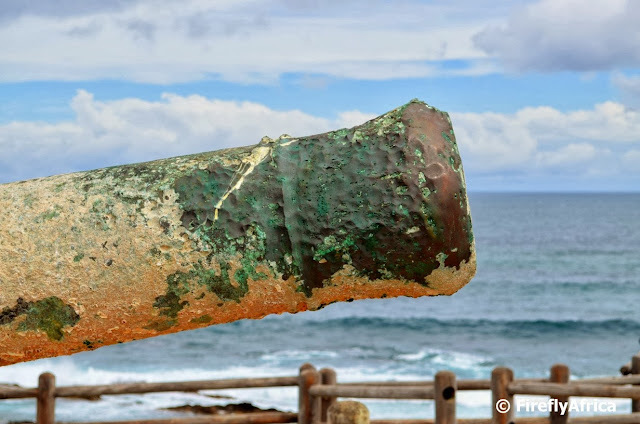 This is the last of the posts in the bridges of Port Elizabeth series. 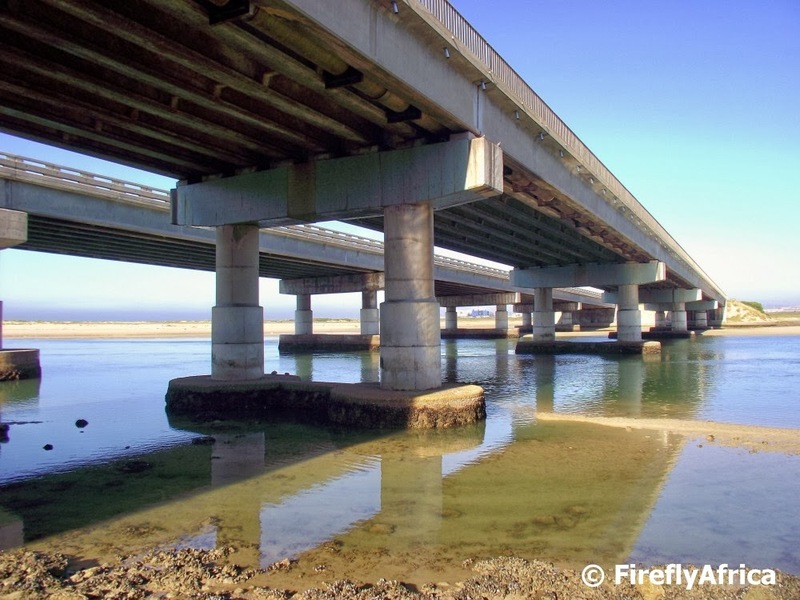 It shows the N2 where it crosses over the Swartkops River at Amsterdamhoek just before Bluewater Bay. 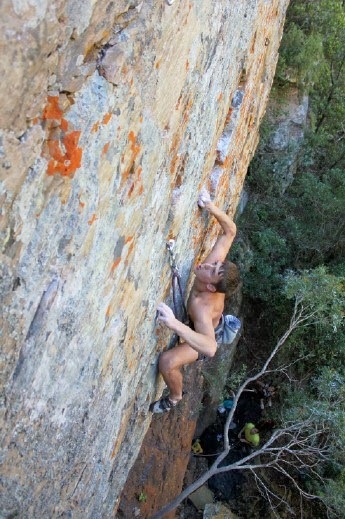 Very busy on top, nice and peaceful underneath. 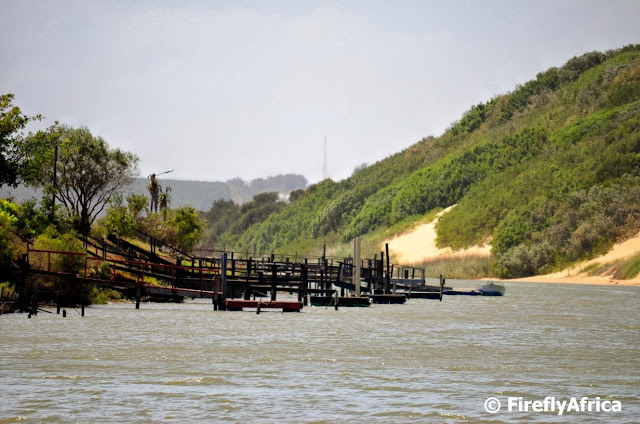 This is post #5 in the series about bridges around Port Elizabeth. 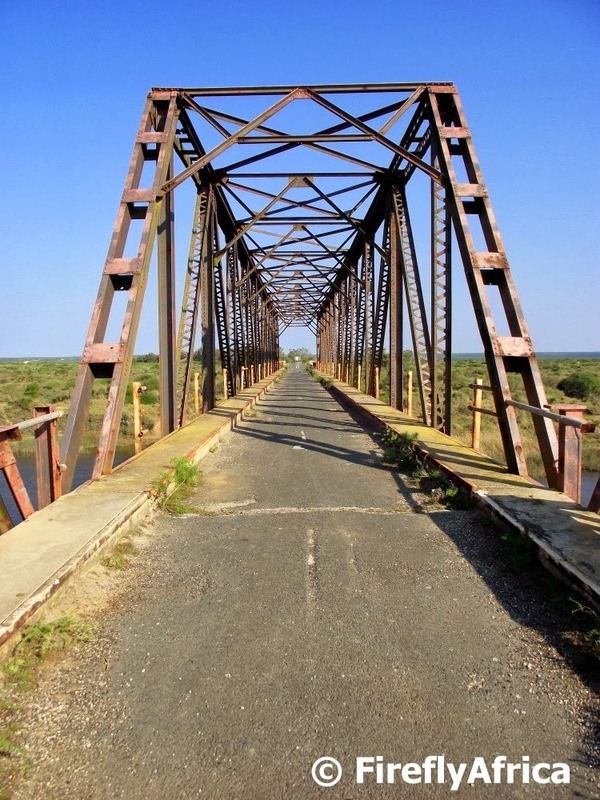 There are several bridges across the Swartkops River with the oldest road bridge in use being the Wylde Bridge at Swartkops which was built in 1879. The road bridge is a one lane bridge that is regulated with a traffic light. This is the railway bridge right next to the road bridge. Looks very similar to the Mackay Bridge in Colchester, doesn't it? Every couple of years Port Elizabeth tends to be hit by a flash flood which ends up causing more damage than the inhabitants of the city cares for. 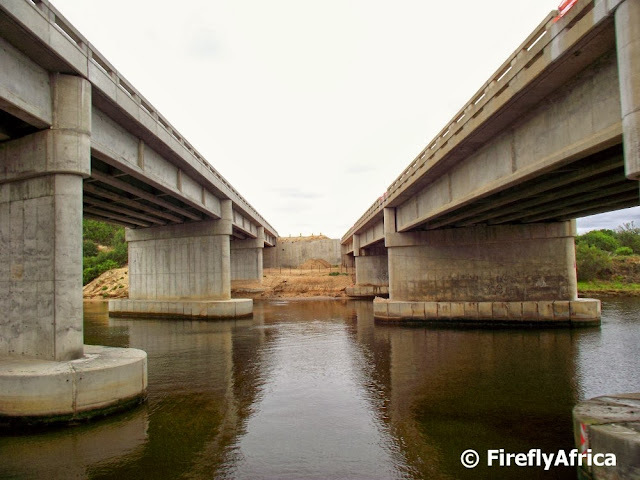 In 2006 we had a biggy and in the process a couple of bridges on the Baakens River washed away, one of them being at the bottom of Brickmakerskloof. The investigation on how best to replace the bridge along with a full on Environmental Impact Assessment took many many months. Eventually construction started in 2009 with the new bridge opening on 1 June 2010. The bridge structure measures 33m in length and is 18m wide with 4 lanes across. Right next to the bridge you can also find the building where Bridge Street Brewery is situated and this picture was taken from next to their outside seating area. 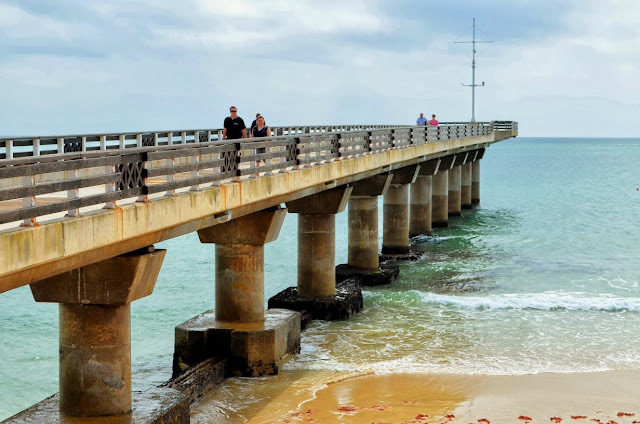 This is post #3 in the Port Elizabeth bridge series. 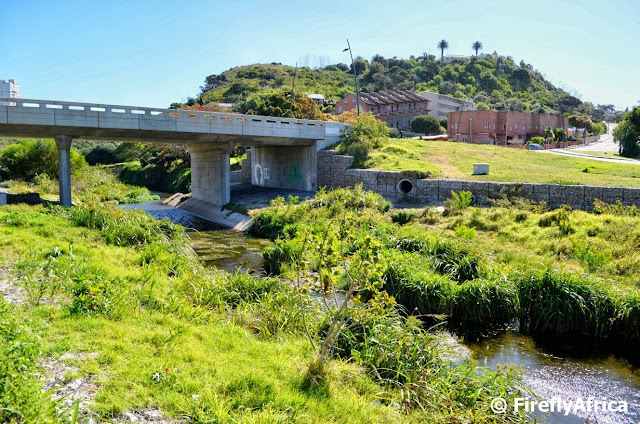 The city's most imposing and best know bridge is the Van Stadens Bridge 35 km west of the city and also situated on the western boundary of the Nelson Mandela Bay metro. 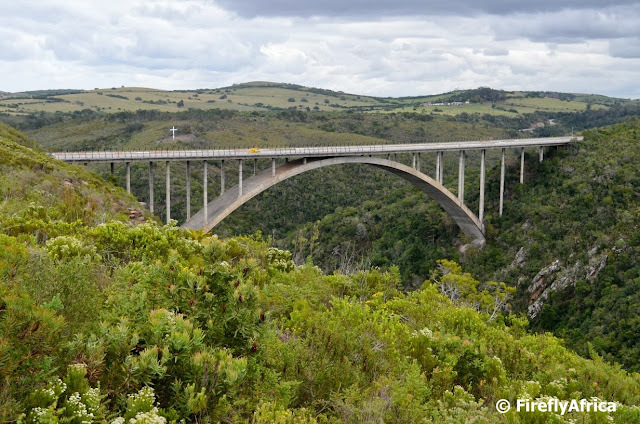 The 125 meter high, 340 meter long bridge was completed in 1971 and is the first of a serious of large arch bridges between Port Elizabeth and Plettenberg Bay. 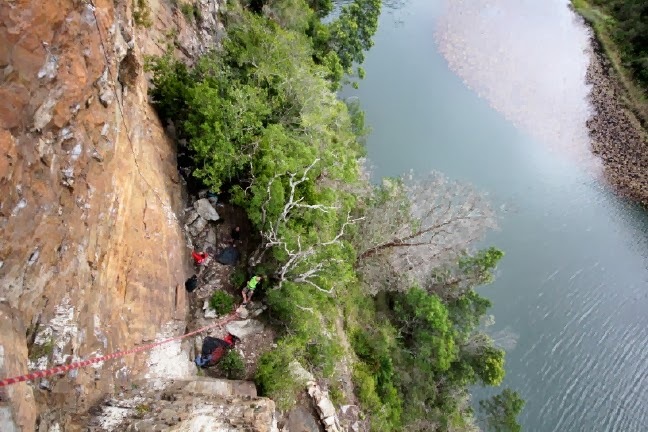 The others are the Storms River Bridge, Bloukrans Bridge, Groot River Bridge and Bobbejaan River Bridge, all in the Tsitsikamma. 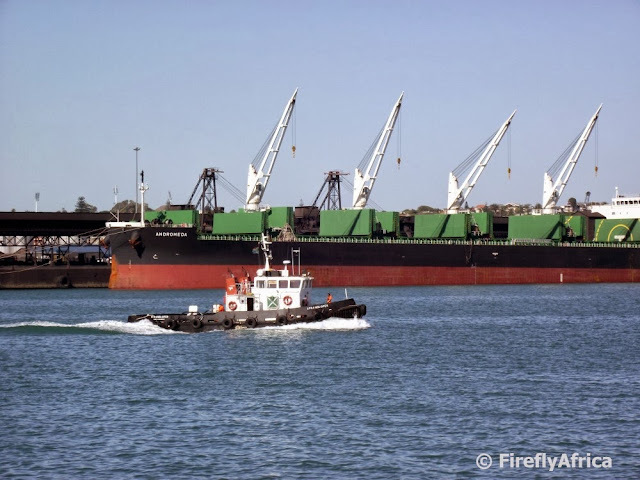 This is post #2 in the Port Elizabeth bridges series. Cars approaching Port Elizabeth on the busy N2 from the east fly across the bridge over the Sundays River with only a quick glance towards the river. I often wonder how many don't even see it while I'm sure most don't know of the historic Mackay Bridge only a couple of hundred meters upstream. With the increase of traffic on the N2 the road from Port Elizabeth to Colchester has been turned into a double lane highway over the last few years. Because of this an additional bridge has been built over the river. The one on the left in the picture is the new bridge while the other is the older one. The new one has been built slightly higher than the other (please don't ask me why) and they are currently in the process of lifting the old one (don't ask me this either) with a hydraulic system to the same height. 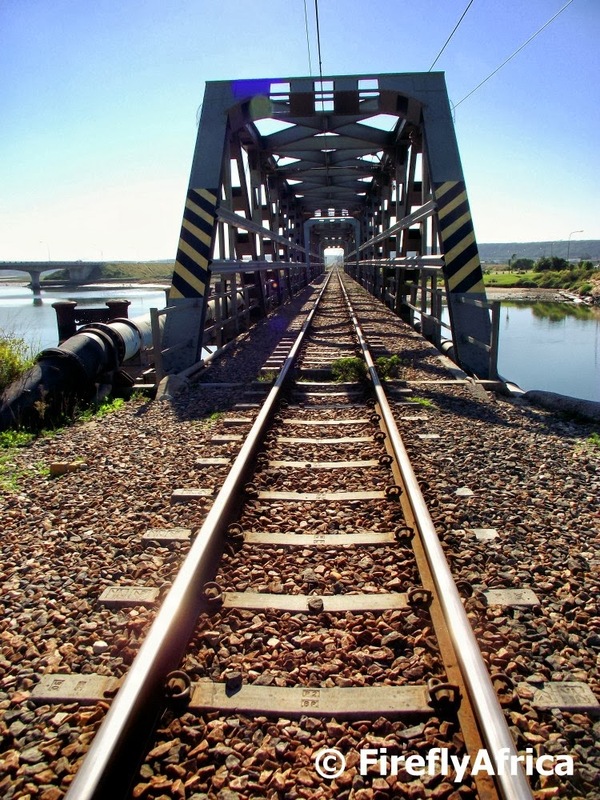 Port Elizabeth isn't famous for it's bridges but it does have a couple of notable ones. Some historic, one imposing and a couple that are often used. I collected pictures of a few of them and decided to put together a series showing you six bridges from around the city. I'm starting with one of my favourite bridges, the historic Mackay Bridge in Colchester. During the mid 1800's this specific spot was quite a popular one with travellers as it had the only pont over the Sundays River and it cut down on the travel time not having to go via the drift in Addo. The original pont was washed away in 1874 and a second one in 1875. It 1884 it was decided to build a bridge across the river which opened in 1895. This bridge was constructed entirely of steel and iron brought from Sheffield in England and was named after John Mackay who's efforts resulted in its construction. The elements unfortunately has taken its toll on the bridge and it's been closed to traffic still accessible on foot. The Sundays River is quite a popular recreational playground with everything from water ski to just leisurely sitting with a fishing line in the water. Most of the houses on the riverside (and some of those that isn't) have their own jetties with some of them having been there for decades already. 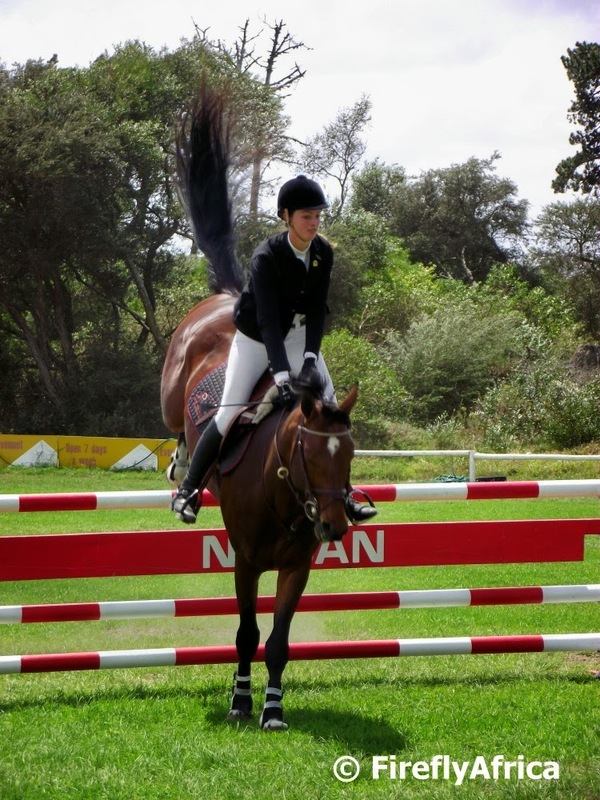 Port Elizabeth gets it's fair share of wind and that is where the Windy City tag line comes from. Not many are big fans of wind but the wind does have its good points as well. The first being the fact that it keeps our air clean and blows the air pollutions away. Recently wind turbines have started to go up around the city and I'm surprised that it has taken this long for it to happen. The first one was put up at Coega and since construction has started on wind farms at Blue Horizon Bay, Jeffrey's Bay, Cookhouse and now also Motherwell. 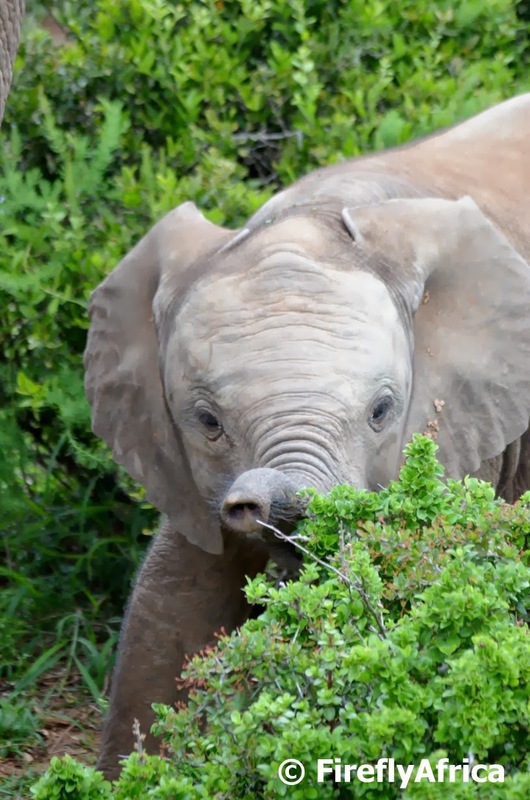 The one at Coega is still standing there by his lonesome self and I decided to go and have a closer look. 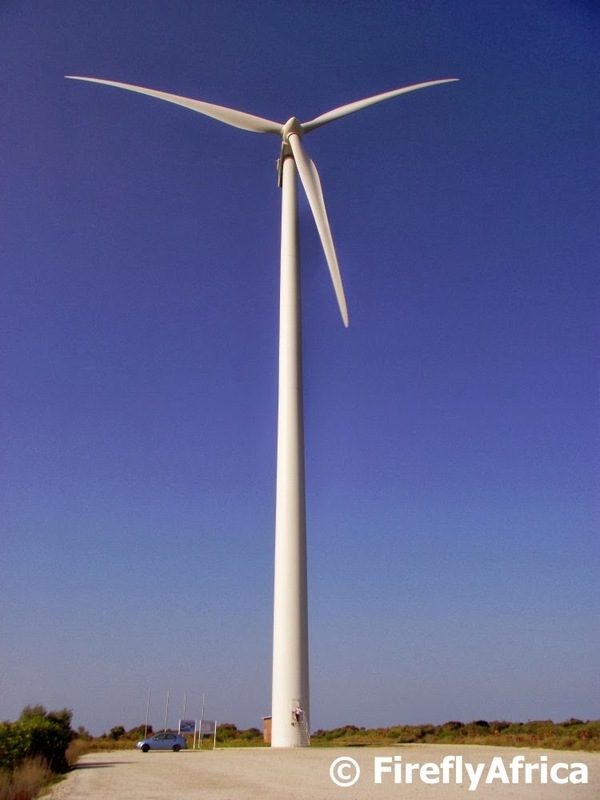 It is HUUUUGGGGGEEEEE, standing 95m tall with a rotor blade radius of 49m. That's my car standing to the left of it and Damselfly and Chaos Boy is newt to invisible by the door at the base.